SMART Modular Technologies, Inc., a leading independent designer, manufacturer and supplier of value added subsystems including memory modules, flash memory cards and other solid state storage products, has been actively involved in developing and standardizing DDR4 module technology and today announced the first products in its DDR4 DRAM module portfolio. SMART's initial lineup of DDR4-2133 modules are loaded with technology advancements inherent to the DDR4 platform. Those advancements include power efficiencies, faster speeds and higher densities, all key benefits for next generation server, storage and networking applications. 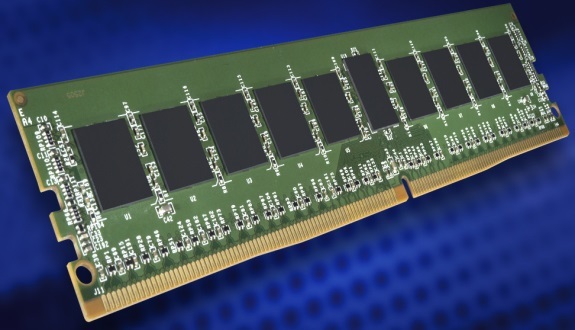 Today, designed in RDIMM, VLP RDIMM and SODIMM form factors, SMART's DDR4-2133 modules operate at 1.2V compared to that of DDR3 modules which run at 1.35 or 1.5V. That equates up to a 20% improvement in power consumption which can be meaningful in data centers or other large scale applications. With densities ranging from 4GB to 16GB, these modules are ideal for blade computing and networking applications. Running at a speed of 2133 MT/s, twice that of the DDR3-1066, SMART's new DDR4 modules are perfect for data intensive applications while reaping the benefits of faster boot and response times. Several DDR4 enhancements including CRC (Cyclic Redundancy Check) have been made to assure higher reliability in systems. In addition, SMART will be extending its Enterprise Memory service, the industry's most rigorous module testing process, into DDR4 to help OEMs maintain the highest possible levels of product quality and reliability.